Memorial Sloan Kettering’s main campus is located on Manhattan’s Upper East Side. 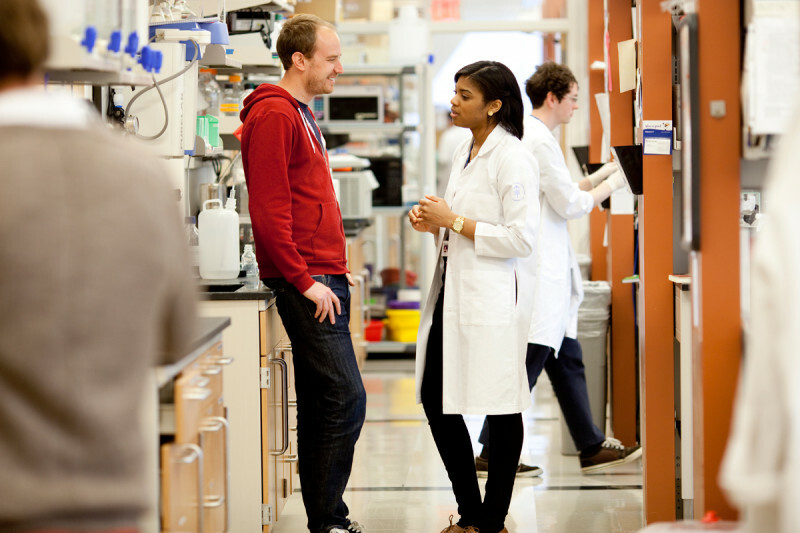 Our research space totals approximately 575,000 square feet, with many cutting-edge laboratories and facilities housed within the Rockefeller Research Laboratories building and the Zuckerman Research Center. Phase I of our newest location, the Zuckerman Research Center, opened in 2006 and phase II in 2012. This building has open, spacious floors to encourage collaboration. Our dozens of research core facilities — ranging from bioinformatics to high-throughput drug screening and x-ray crystallography — serve both basic and clinical research needs. These shared facilities offer state-of-the-art instruments and technical staff support to graduate students as they train and conduct research projects.